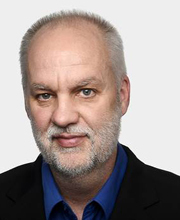 André Picard is the public health reporter at The Globe and Mail and one of Canada’s top public policy writers. He is the author of the best-selling books Critical Care: Canadian Nurses Speak For Change and The Gift Of Death: Confronting Canada’s Tainted Blood Tragedy. He is also the author of A Call to Alms: The New Face Of Charity In Canada. André is also a four-time finalist for the National Newspaper Awards – Canada’s Pulitzer Prize.